It’s leap day! 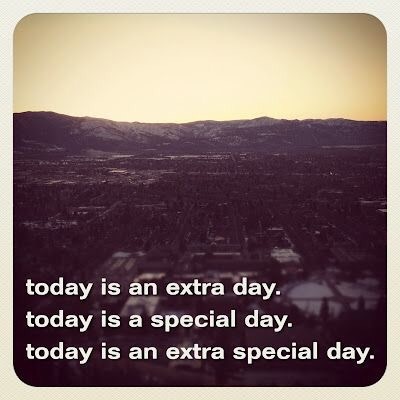 An extra day to do something extra special. You are given 24 more hours this year. Additional hours to love someone, try something new, get more sleep, or do whatever you feel like. Just make sure, you live those hours to their fullest! After all, you only get an extra day every four years. This entry was posted in Uncategorized and tagged college, february, leap day, modern family, monday, motivation, motivational monday, travel, travel channel, year by METAYLOR. Bookmark the permalink.